Check it out! 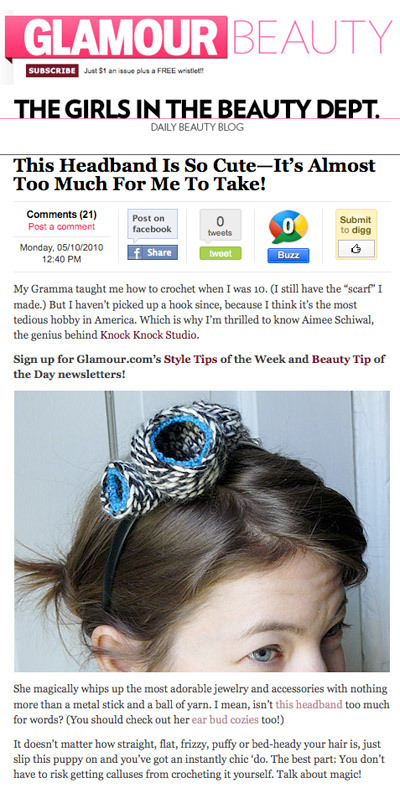 My Black N White headband and ear bud cozies were featured in the Glamour magazine Daily Beauty Blog. I want to be Kimberly at Glamour magazine’s new best friend. Thank you Kim and welcome Glamour readers! You can read the rest at glamour.com!